These spectacular botanic gardens are home to an incredibly diverse range of rare and unusual plants from all four corners of the globe. Sheltered by the North Wales mountains, they benefit from a climate much drier and less harsh than some surrounding areas. It was Arthur Kilpin Bulley’s keen interest in plants that saw the development of these expansive gardens. The Liverpool cotton merchant was interested to see whether exotic plants from Asia could survive in Britain. Following Bulley’s death in 1942 his daughter presented the gardens to the University of Liverpool in 1948, and the style and layout of the gardens today is much more flowing and natural than Bulley’s original patchwork designs. The gardens have maintained their immense international diversity, and are spectacular in all seasons, with varieties of rhododendron, camellia, pieris and gentian. These renowned botanic gardens overlooking the Dee Estuary reward visitors with a wonderful array of rare and unusual plants gathered from far flung corners of the world. 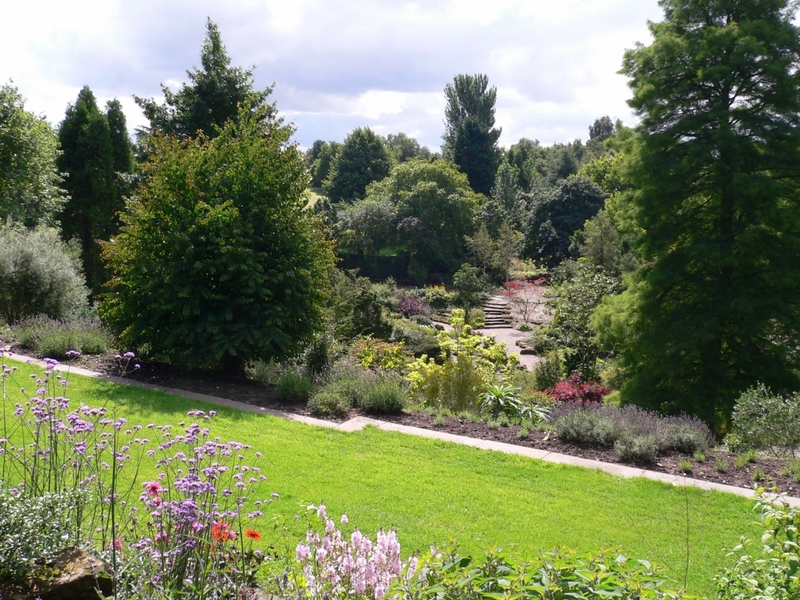 Ness Botanic gardens was born out of Arthur Kilpin Bulley’s passionate interest in plants. The Liverpool cotton merchant began to create a garden in 1898 and sponsored expeditions to the Far East, to test his theory that Chinese and Himalayan mountain species could be established in Britain. Plants he helped introduce to Ness – and to gardens across the country, include varieties of rhododendron, camellia, pieris and gentian. Following Bulley’s death in 1942 his daughter presented the gardens to the University of Liverpool in 1948. During the late 1950’s his functional, patchwork garden design was replaced by one that was both flowing and natural – and superb collections of rhododendrons, azaleas, camellias, cherries and heathers were established. The gardens at Ness are located in the lee of the North Wales mountains, creating a dry, relatively frost free micro-climate – ideal for the growing of a wide range of plants. Shelter from the prevailing south-westerly winds is provided by Bulley’s plantings of Lombardy poplars, holm oaks, Scots and black pines – as well as more recent stands of Leyland cypress, Italian alder and holly. The main areas of the garden include the Jubilee Gardens, created in 1977. 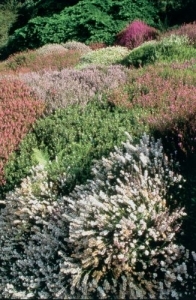 Here yew and beech hedges divide a well-drained sunny site into a series of beds, growing tropaeolum speciosum with its bright red flowers, vibrant blue anchusa italica and long flowering pentstemons. Elsewhere, one of the most memorable areas of the garden is the long Rhododendron Border. This is set against a backdrop of dark Scots pine and silver birch and provides splashes of colour as early as January – with a vivid climax coming in May and early June. Beyond the border is a specimen lawn, home to a number of plants brought to Ness from China and the Himalayas. Here visitors can see show-piece magnolias, cornus, eucryphia, pieris and sorbus. The Azalea Border and Herbaceous Area have always been popular with visitors. In spring the azaleas create a dazzling ribbon of yellows and oranges, while the herbaceous plants present a rich variety of shapes and colours – flowering from late spring right through to autumn, when varieties of drought resistant Michaelmas daisies are at their best. The Heather Garden has been designed so that flowers or foliage create colour all round, while the south facing Terraces provide a warm climate for plants that originate as far afield as California, Australia and Mexico! More specialised planting environments can be experienced in the Rock, Water and Woodland Gardens where visitors see alpines from New Zealand, British wood anemones, Chinese Tulip trees and exotic water lilies. A new garden entrance and Visitor Centre opened at Ness in late 2005 – further enhancing visitor facilities at one of Britain’s most important gardens. March – Oktober: Adults £8.25; concessions £7.15; Children (5 – 16) £3.85.